It seems that many are benchmarking themselves against 2014 for going Energy Efficient in lighting their streets. The nation is targeting 2014 for full use of LED street lights. While incandescent lamps will be banned in Malaysia by 2014 as they are very inefficient. In December last year, the municipal government of Shenzhen, the southern Chinese city bordering Hong Kong, issued the Implementation Plan of LED Lighting Promotion and Application in Shenzhen, calling for the installation of LED lighting in all public areas in two years. This means that the implementation will be completed in 2014. Shenzhen’s LED industry, valued currently at 70 billion yuan annually ($11.2 billion) accounts for nearly half of the China's LED output and there are promotional efforts to double the output to over 130 billion yuan ($20.9 billion) in 2015. 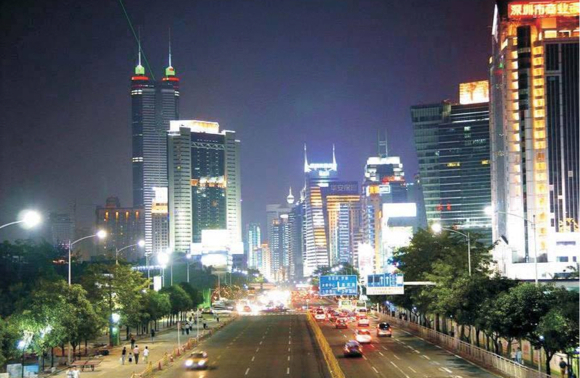 The Shenzhen government’s plan suggests that LED lighting applications be first deployed in public areas, including city roads, public facilities, government agencies, state-owned enterprises or institutions, and other projects and facilities invested by state-owned capital. Lighting in these areas are to use LED street lamps, yard lamps, landscape lamps. Other forms of lighting are to be converted in stages, with full conversion completed by the end of 2013. Green Prospect Asia reported that, to finance the LED lighting project, the plan requires the city treasury to use revenue collected as part of electricity tax, or to seek funds from other public sources. As for the financing of new projects undertaken by government departments, each department is responsible for the financing of its own LED projects. Thera are obstacles in such a futuristic project such as high cost and the fact that LED road-lamp technology is still at a developmental stage and hence, not very scalable. But I'm sure the city planners can sit down and iron out plans to mitigate project financial risks. TheGreenMechanics: There you go. Kota Kinabalu's plan to install energy-efficient light bulbs in the city by 2014 is not far fetched, isn't it. Just go for it! To read the full article, visit Green Prospect Asia. Your post reminds me of an incident last year, I changed all the lights in my house using the energy efficient bulbs. My bills after that is 50% less than normal. Even the meter couldnt believe it, he looked around if I tampered with the system, and I explained to him, and he said ada ka jual itu mentol? Amazing happening province of China! It is very encouraging that world is using LED lights on major projects. It is a very good move by China.